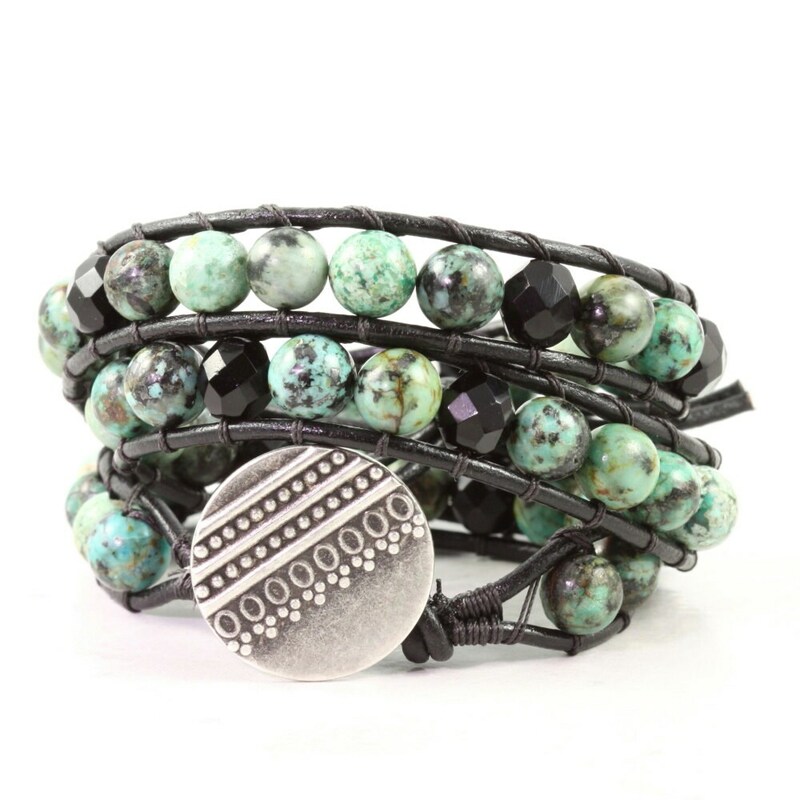 This amazing wrap bracelet is woven together with African turquoise gemstone beads (8mm) in a blend of green, black, and blue. Stitched with black nylon thread. Made with black leather cord. The perfect holiday gift for your girlfriend or sister, or just for you! An ornate silver button completes this fantastic and versatile look. This triple wrap bracelet is fun and comfortable to wear. Need a bracelet that goes with anything in your wardrobe? Well, this is it! This bracelet has two loop closures which measure 20 and 21 inches for an adjustable fit. Please contact me if you'd like a different length made just for you.